Autumn has finally fall-en upon us (See what I did there?). With the arrival of a new season comes the excuse to make fun updates to your home. Whether your thermometer is still 100 degrees or you’ve already pulled all of your coats out, there’s no denying we’re excited to decorate for fall. 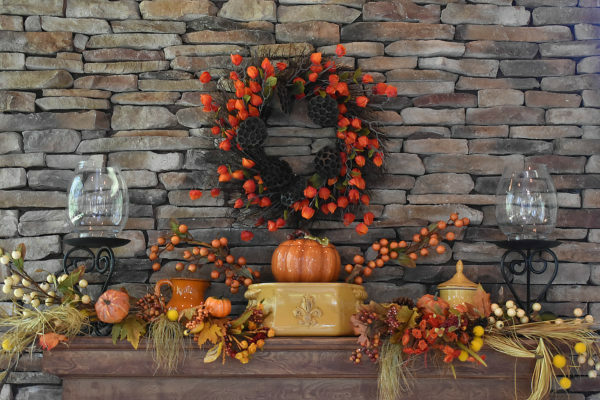 With our easy tips, you’ll have your home feeling fall-festive in no time. Gather your favorite candles and place them throughout your home. Woodsy aromas and scents of pumpkin create a sense of comfort. Not sure what scent is right for you? This guide will help. Are candles not your thing? Put up some string lights. The holidays may not be here yet, but strategically placing warm-hued lights around your home will give it a quaint feel. There’s nothing like cozying up on your couch with layers of blankets and pillows. Search for a variety of patterns and textures to add interest to your couch and the room. Look for plaid, faux fur, and your favorite warm hues. Next, pile them on! As the holidays draw near, you may have more guests over. Make sure there are enough comfy surfaces for everyone. Bringing out throws you’ve stored since last fall? Freshen them up in the washing machine. Your guests will thank you! Yep, you read that right. Make use of your smaller spaces by turning them into cute little nooks for reading, catching up with friends, or even dining! Look for window sills, corners, or even under the stairs for the perfect nook location. Make it as comfy as possible with plush cushions and fluffy blankets. You’ll feel like you’re in your own little world. 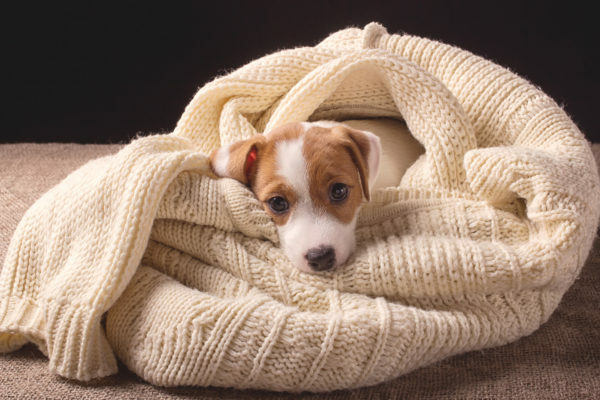 Ready your bed for the cooler weather with warmer bedding. Fill your duvet with heavy down inserts or look for a comforter made of thicker material. Also be sure to pile on the blankets. You’ll want plenty of throws to choose from to keep you warm so you can curl up with a good book. Still not cozy enough? Layer a thermal blanket between your sheets and comforter to stay warm. 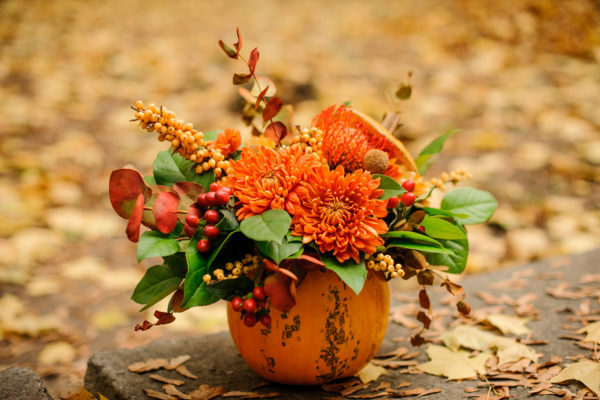 Flowers can create a large impact in a home, so bringing in fall foliage will set the mood for the season! Hang a wreath on your front door to welcome guests. You can find one at almost any home store or get crafty and make one of your own! Embrace flowers that embody the colors of fall. Look for golden mums (their name says it all) and pansies (their velvet-like texture will add interest to any garden). There’s nothing like a home cooked meal with your closest friends and family. Make your gathering extra special with a beautiful centerpiece. Place a mirrored tray on your table and fill it with candles. The warm glow will reflect on the tray and create a pleasant atmosphere. Get extra festive with pumpkins. Place a variety of sizes and colors on the table to add a pop of fun to your table. Feeling extra adventurous? Add in a few other types of squash to the arrangement. The best part is that you can cook them up for a future meal. Curtains are a great way to update any room. Find a set that is heavier, darker, or made of an interesting texture to get your home feeling in-the-season. Look for plaids, wool material, or anything that makes you feel cozy! Don’t limit these panels to just your windows. Have a canopy bed? Add some drapes to it to give it a warm and snug feel. Enjoy the crisp fall weather and beauty of falling leaves of the great outdoors. Make sure to spend some time on your patio this season—whether it is on your own or with some company. Drape blankets on the patio furniture so that no one catches a chill. Ensure you keep the colors warm as well. Swap out and bright or beachy cushions with those of orange, yellow, or other autumnal hues. As the sun sets, have candles at the ready. A flickering candle puts everyone in the fall mood. Your fireplace is typically a popular spot when cooler weather rolls around. Make sure it’s ready for the extra attention with seasonal decorations. Add some vintage candlesticks to the mantel along with a stack of coffee table books for browsing and décor. Stack birch logs in the fireplace itself so it’s ready-to-use. Even if you don’t have a working fireplace, you can fill it with candles to give off a comforting glow. Have fun cozying up to your home and sharing it with your friends and family this season!